The first move in Chess is important, but ultimately it does not determine the outcome. 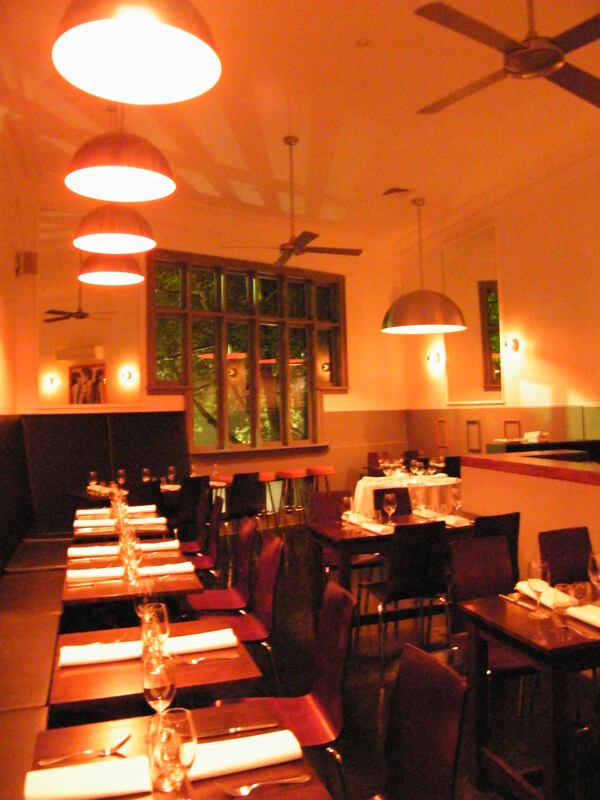 The talented Melbourne duo of Chef Paul Cooper (ex Pied à Terre, Botanical and O’Connell’s Hotel) and Erez Gordon (ex Jacques Reymond, Botanical, and currently Bistro Bruno, Balmain), considered opening as Crown Street Social, before deciding on Crown Street Assembly to avoid a possible conflict. 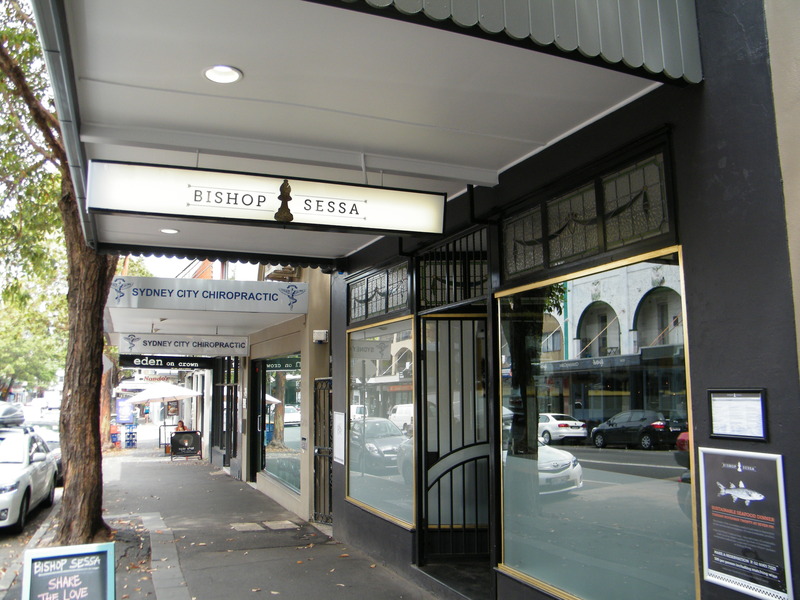 However, another perceived name clash recently prompted the change to Bishop Sessa; after a curious 15th century Italian Church figure, assuredly both an eclectic and safe bet. 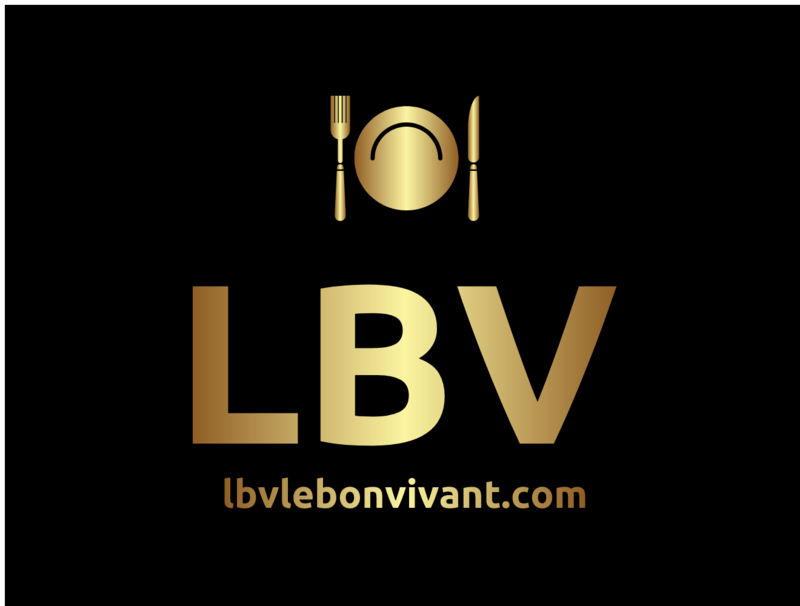 What has remained constant throughout has been a commitment to sustainable ‘nose to tail’ dining at a favourable price point, backed up by personable and efficient service. The recent addition of Daniel Wooten (ex 3 Weeds, Rozelle) as FOH Manager adds further stability to a small but very effective team, which has taken on the former Tabou site with a noticeable sense of purpose for the longer term. Designer Deborah Grant, proving that innovative fit-outs do not have to ‘cost a bomb’, successfully created two distinctly different spaces in three weeks. Downstairs is predominately white, featuring clean minimalistic surfaces and a near room length mural symbolic of the impact of Information Technology. In contrast upstairs, the mood is primarily cast from large hanging lamp shades that provide a warm tangerine-like hue on the larger space, whilst different again under natural night. Passionate wine buff Erez Gordon oversees a compressed but thoughtful, and margin tight, wine list. There is a decent selection of craft beers including Trumer Pils on tap, which makes me ponder why more restaurants are not offering that option, given the technology and price is quite accessible. Appetisers include the cheekily named ‘BTS’ Wagyu slider ($8) with truffle and kasundi sauce. ‘BTS’ stands for better than you know what, and given the wide degree of subjectivity involved, I will let you decide, other than to say it is pretty damn good. The grade and texture of the beef alone makes a second round compulsory, like the sensational steamed buns with master stock poached quail ($13 for 2), and a dash of hoi sin and ginger sauce that consistently impresses on each visit. Beef and bone marrow dumplings ($11 for 5), lifted by the black vinegar and pearl barley, win me over the second time around, but the pork and salted fish gyoza ($12 for 4), with a subtle green chilli dressing, provides instant gratification. The comforting warm lobster roll ($8), has another life with king prawn roll and aioli, and I can envisage multiple guises. The fast diminishing skill of charcuterie is alive and well, with a mixed board ($30 for 2) that has an intense chicken liver parfait, rustic pulled rabbit rillette and rich pork and duck terrine. The ‘house made’ chutney is a cracker, as is the rather wicked port butter. If the ‘proper’ corned beef, painstakingly prepared, is not on the menu, politely enquire if you could sample some, as trust me it is a little bit special. 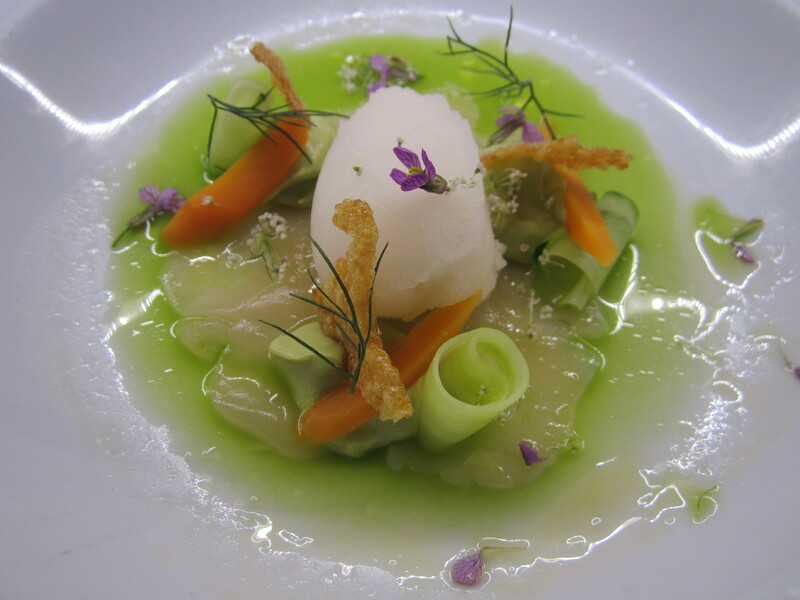 A stunningly beautiful dish, the scallop ceviche ($16) with avocado, cucumber and a zingy lemon and ginger beer sorbet, is the most refreshing dish I have had for awhile. Salmon carpaccio ($18), with poached king prawn, miso, apple and black radish, keeps things light. An heirloom beetroot and radish salad ($16) with smoked goats cheese, pomegranate and very tasty walnuts, offers a vegetarian option that even I would order again. Barbecued ox tongue ($14) is well seared, but still quite tender, indicating a chef that is both confident and skilled with using offal and secondary cuts. Chef Paul Cooper is on the record as being extremely passionate about seafood sustainability. 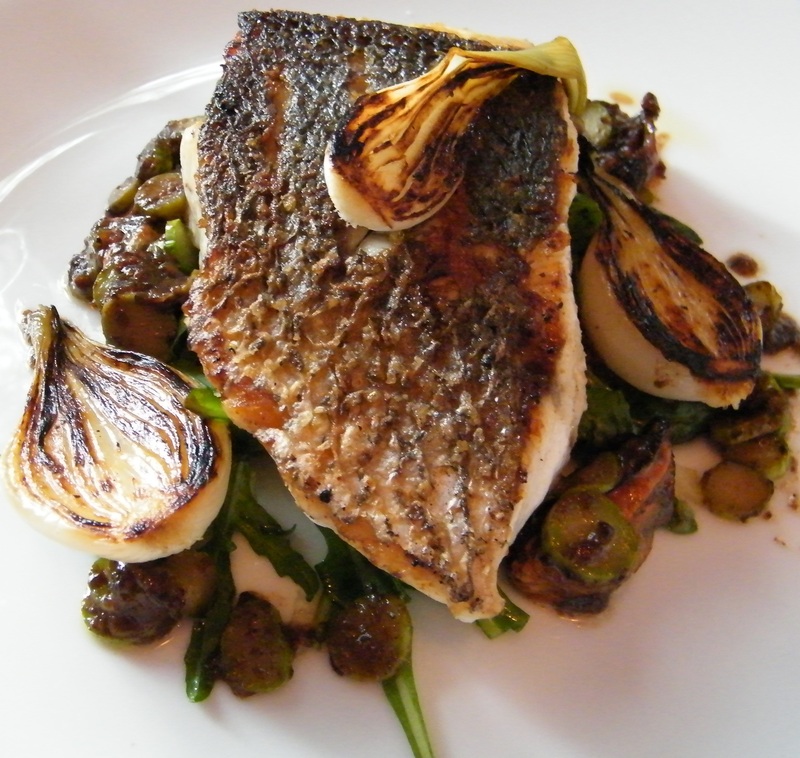 He backs up those words with the pan roasted Palmers Island Mulloway ($29). Crispy skin and flaky texture ensures the integrity and freshness of the fish is expressed properly, with diced asparagus, poached onions, mussels and morel vinaigrette finishing the dish off nicely. 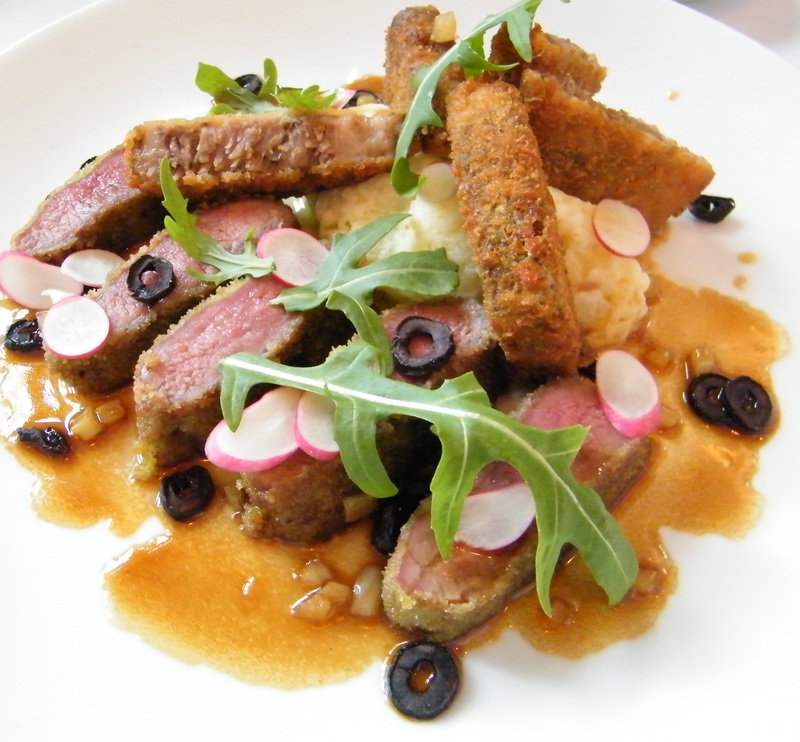 I was fairly convinced the chervil crusted Milly Hill lamb ($28) loin component was cooked sous-vide, but I discover it is done using a technique learnt under Chef Shane Osborn in London. Goat’s cheese, dried olives and red pepper jus are a lively set of accompaniments, but never threaten to overtake the star of the show. Provenance embraces sustainability head on with directly sourced 120kg sides of the impeccable and intensely flavoured Gundooee Organics Wagyu, broken down in-house. 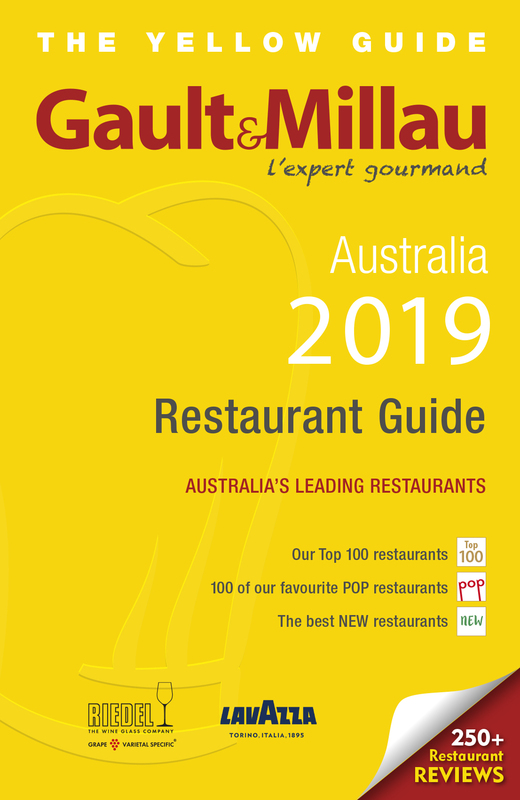 This enables flexibility and transition between cuts and techniques, showcased in a changing three course Wagyu set menu for $65. The classic beef tartare ($16) could possibly turn a vegan on pure texture and flavour delivery alone. From the set menu, the rustically cut tri-tip carpaccio, with a lively corn and avocado salsa and smoked chilli chimmi churri, is clearly defined amidst that combination. However, the porterhouse cooked on the bone, just a smidge beyond rare, is where it is really at for me. 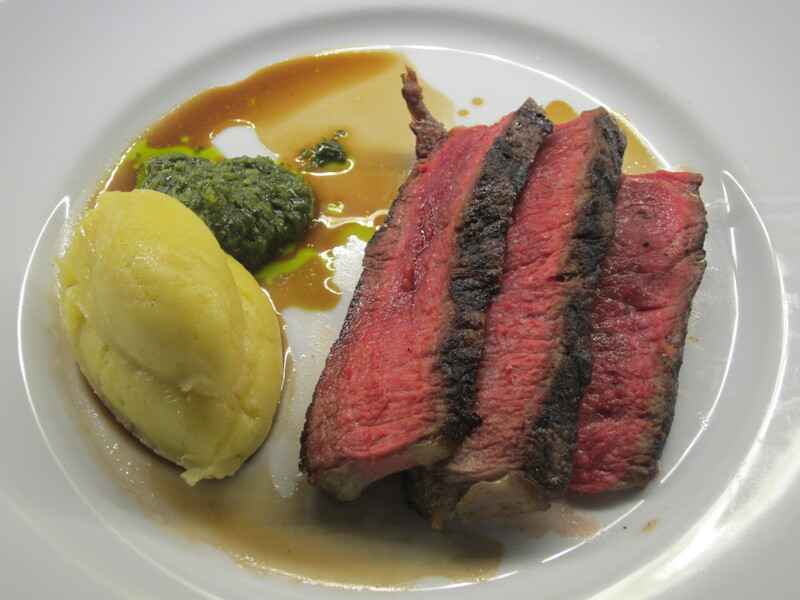 Keeping it fairly simple with mash, salsa verde and fig and port mustard, allowing the calibre of the beef to shine, indicates a chef who has parked his ego for the greater good of the produce. The soy and honey glazed brisket with avocado mousse, delivers big on flavour, but on this occasion is found a little wanting on texture, with the accompanying cucumber kim chi also needing the volume tweaked up a fraction. The generous portion size however is symptomatic of the menu, which is clearly plated in the diners favour. 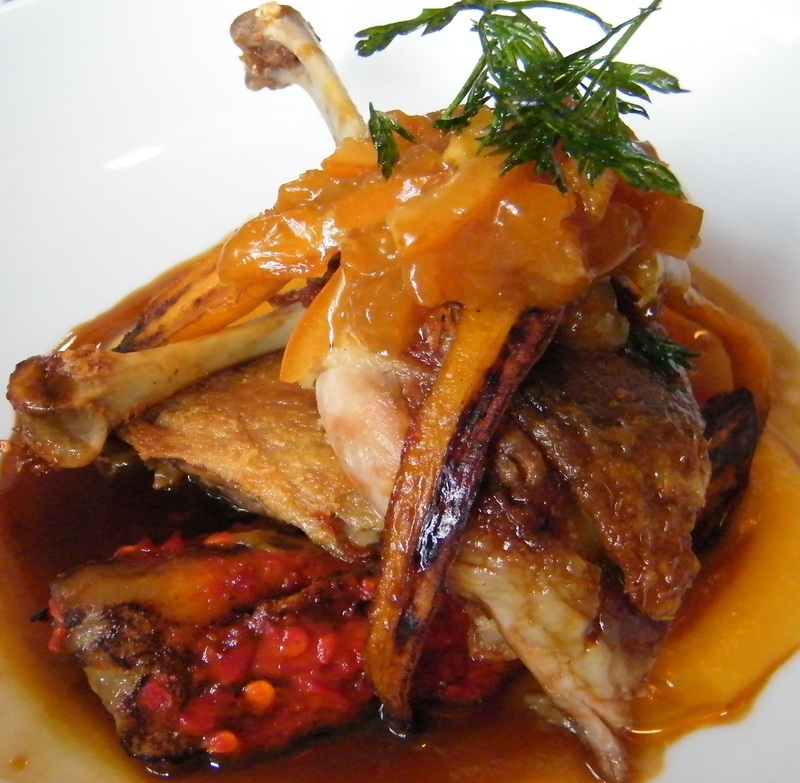 Textbook confit: crispy skin Aylesbury duck leg ($29), with lush tasty moist flesh is served with spiced aubergine, baby carrots, orange and onion marmalade. A new dish, steamed and roasted rabbit saddle ($29) with a spiced filo rabbit parcel, roast carrots, endive and pickled mustard sauce, shows not only technique, but promise on its first outing. Roast suckling pig, celeriac puree, caramelised apple, tête de cochon, beetroot and calvados jus is solid confirmation of the Chef’s involvement with specialised pig dinners, and really sums up the essence of his food in one word: flavour. A very tidy poached pear Tart Tatin ($14) with hazelnut is elevated by a particularly memorable truffle curd and cinnamon ice cream, that add a touch of wow to an old friend. Almost Pavlova ($13), sponge cake on lemon curd and vanilla anglaise, with book end meringues and a fair whack of milk ice cream in between, is a playful deconstruction that has merit. 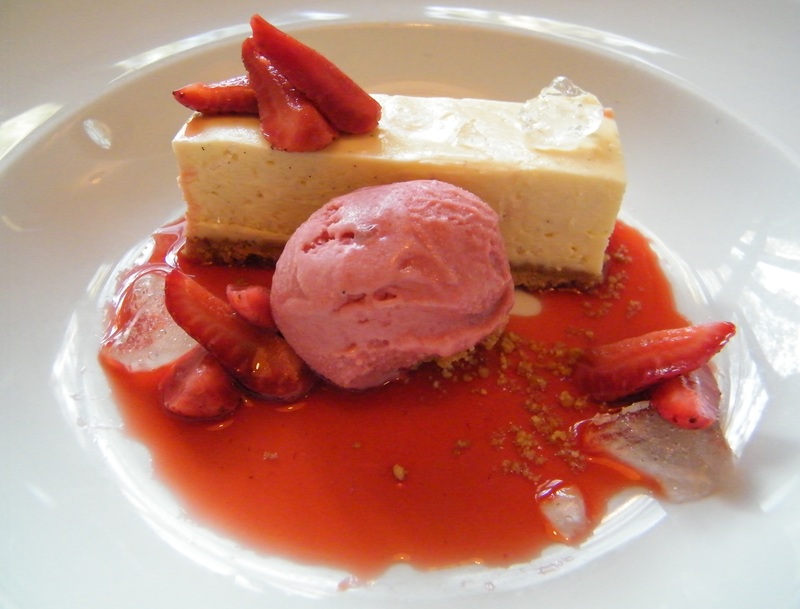 The retro style vanilla cheesecake ($15) has lovely rich texture, with dabs of fascinating prosecco jelly, fresh strawberries (and consommé) that sings emphatically of the season. Chocolate chip parfait ($16), with popcorn ice cream, milk chocolate mousse and marshmallow, is unapologetically excessive, so those watching calories best look on (if possible). Wonderful. I’ve been wanting to hear about Paul Cooper’s food for a while. I follow his blog and he has an interesting post on nose to tail eating – http://paulcooper79.wordpress.com. Great shots. Will have to book myself in! Thanks so much for leaving some comments. 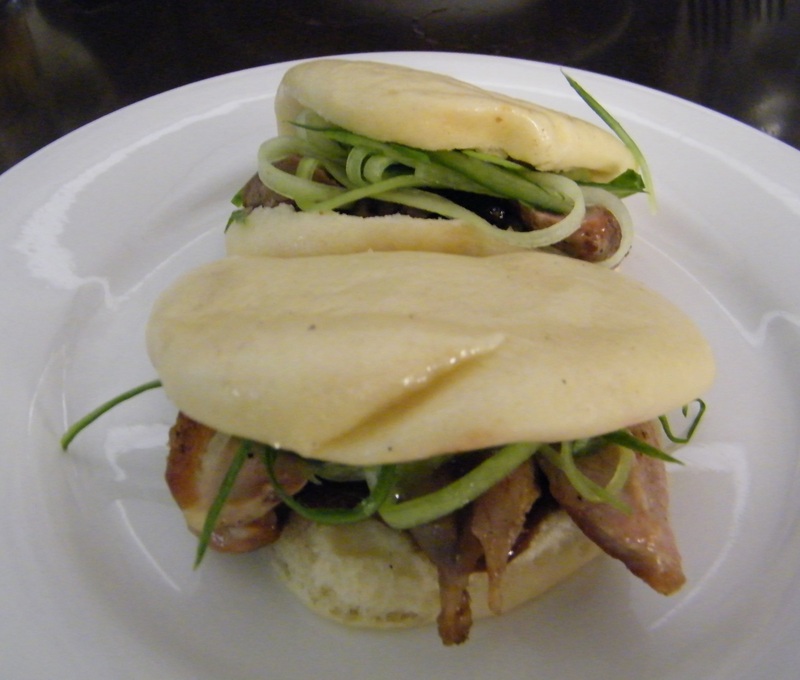 Paul is a very talented Chef and whilst his skills are applied to far more nose to tail produce driven and complex dishes, promise me you will try the steamed quail buns. I am that confident, if you don’t like them I will refund your money!